Want to support American goods? 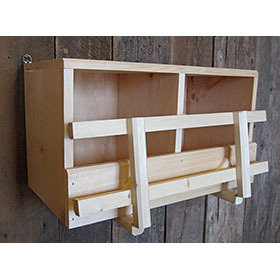 This beautiful nest box is handcrafted in the USA by one of our favorite manufacturers. We love this model because of its extra-deep bedding area (3.5" lip keeps shavings in! 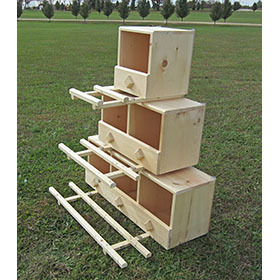 ), its easy-mount design and the flip-up roosting poles--close them at night to keep the hens out! 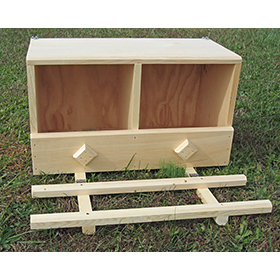 Choose from three sizes, above, and if you're interested in double-level boxes, just let us know! 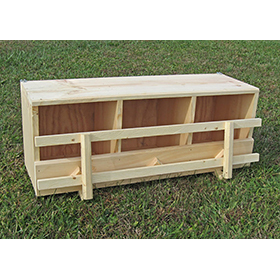 We can custom make sizes as large twelve hole boxes, stacked two high. 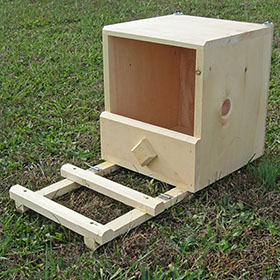 Single Nesting Box, 11"x11"x11", shipping weight 10 lbs. 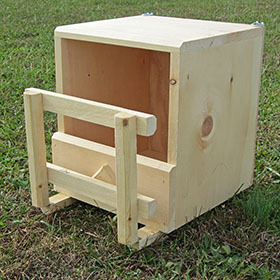 Double Nesting Box, 11"x11"x24", shipping weight 16 lbs. 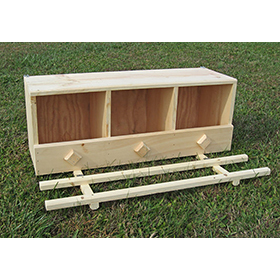 Triple Nesting Box, 11"x11"x36", shipping weight 23 lbs.